CARL RUSSO/Staff photo. Whittier Technical High School defeated Greater Lawrence Technical High School 113-17 in girls' track and 80-56 in boys' track Tuesday afternoon. 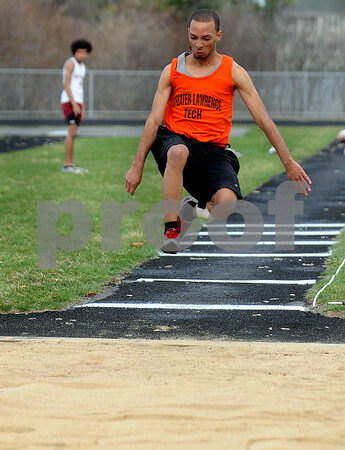 Greater Lawrence sophomore, Hector Payano captured second place in the long jump. 4/12/2011.